The World of Handwriting Analysis: What does Brett Lee's signature say about his personality ? 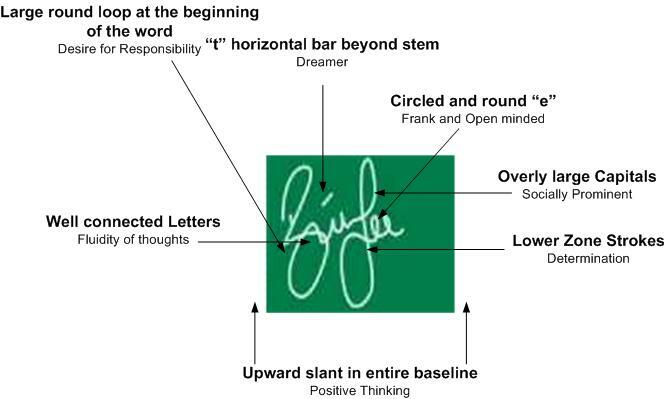 What does Brett Lee's signature say about his personality ? - Brett Lee is a fast bowler in Australian Cricket team. - He was one of the fastest bowlers in the World Cricket. 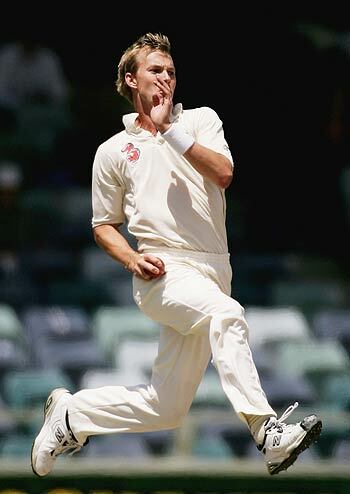 Lee's fastest recorded delivery to date is 161.8 km/h (100.5 mph) which he bowled in a test match against West Indies. - He has been a successful bowler for Australia in all forms of the Game- Tests, ODIs and T20. - Lee's 161.8 km/h ball is the fastest recorded ball to date but was debunked right after an hour as three radar guns were not properly aligned and the back-up radar gun recorded the speed in 150s only. - Lee is part of the rock band Six & Out. The band is made up of his brother Shane and former New South Wales cricketers Brad McNamara, Gavin Robertson and Richard Chee Quee. Lee plays the bass guitar or acoustic guitar for the band. 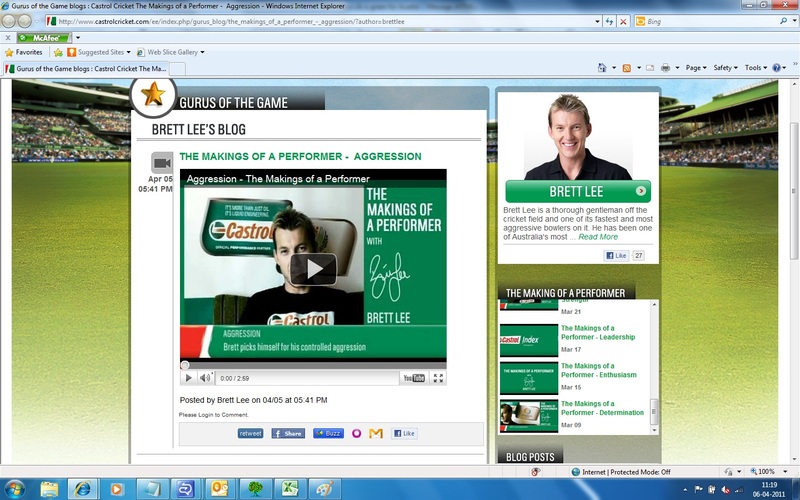 I had never seen Brett Lee's autograph before i bumped into Castrol Cricket blog by the man himself. This blog can be accessed from here . This actually a video blog and the autograph appeared in the Preview of the video. I almost felt excited to dissect the autograph and know the man beneath. Brett is a Dreamer . Dreamers are often thought of as a people who can think of Impossible goals. They are risk takers. Its one thing to have High goals in life but entirely a different thing to have dreams. It is this aspect of his personality that has seen him reach and perform consistently at the highest level in Cricket. His dreams are beyond Cricket as is evident from his involvement in singing and movies. During the 2006 ICC Champions Trophy in India, Lee recorded a duet with India's music diva Asha Bhosle called You're the One For Me. The song reached a peak position of number two on the Indian and South African charts. In 2008, he filmed scenes for his first Bollywood movie Victory.He once hosted a short-lived TV program called "Personal Best". Brett possesses good deal of Determination in his personality. Determination is certanily one of the essential ingredients of a Successful person. this trait coupled with Desire for Responsibility has worked wonders for Brett. He has made many comebacks to the National side either due to injury or due to bad form. This man never gave up without a fight. His most recent comeback was in Australia’s World cup 2011 side. I can never forget a sight when he was hit badly on the eyebrow while fielding in Quarter-Final vs India. He was bleeding all over and it almost felt that he is gone for the match. But die to his determination, he came back in next few overs and was bowling superfast at 145 + speed. This story has more on Lee's famed comebacks despite career threatning injuries. can u read my hand writing too? if yes wats the procedure? Thank you for visiting and your comments. You can email me at amagazine@gmail.com and i will update you the procedure. There are somethings that i am working out currently before i put up an official notification on the blog. Hello! thanks anuj will mail. Dear Visitor, a Question for you ?